The future of urban transportation is beginning to look a lot like the past. 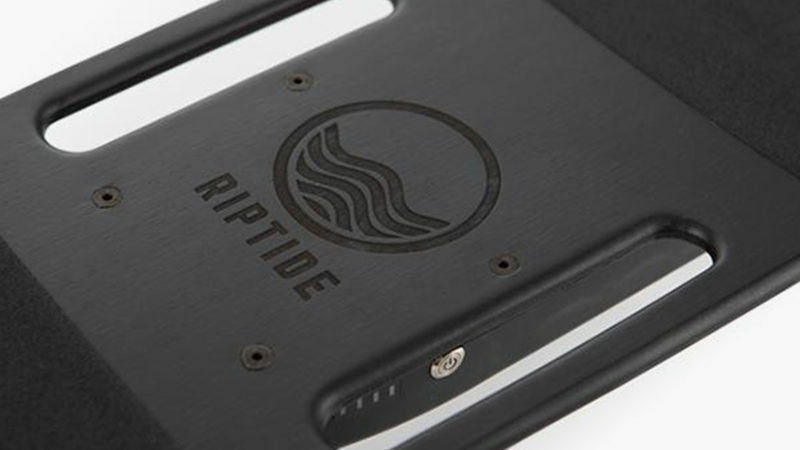 A carving machine for serious skaters and uphill commuters alike, the Riptide R1 Black is an electric skateboard with unparalleled power and portability. 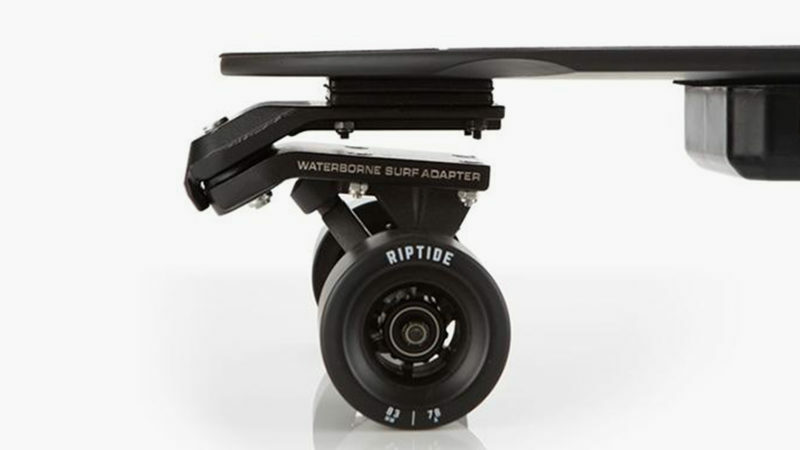 Use a wireless remote to push the dual motor powertrain up to 18 mph, and enjoy up to seven miles of riding before the Riptide needs to be recharged. 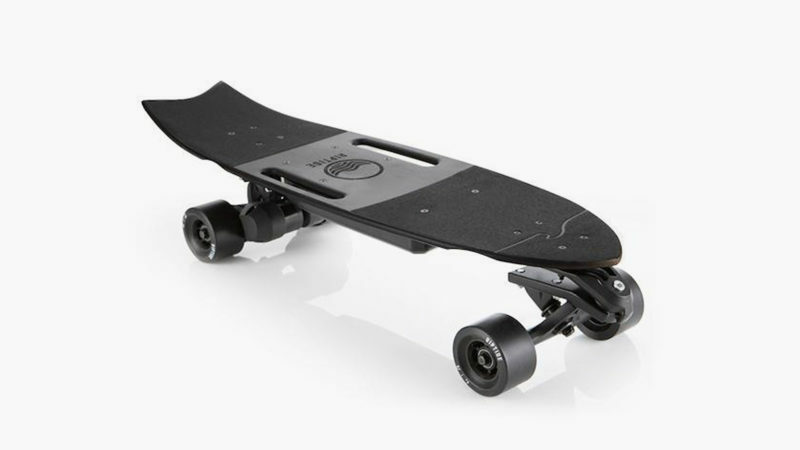 A black-on-black color scheme keeps it sleek and unassuming, but your performance is a dead giveaway that this board is special. 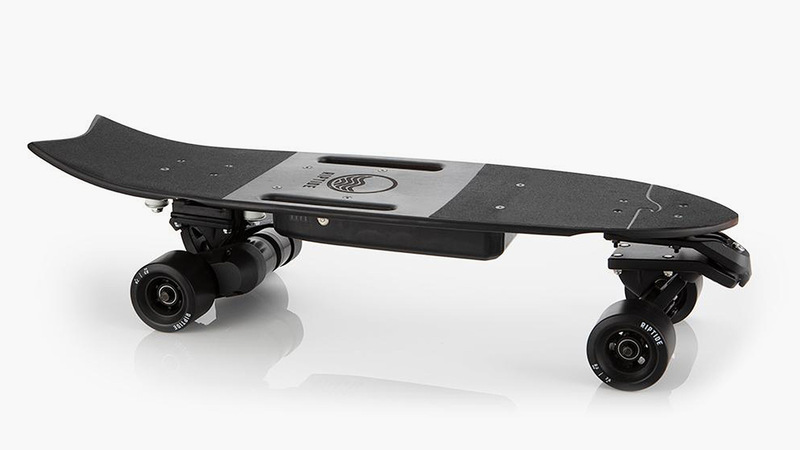 The impressive carver gets even more agile thanks to truck modifications from Waterborne. 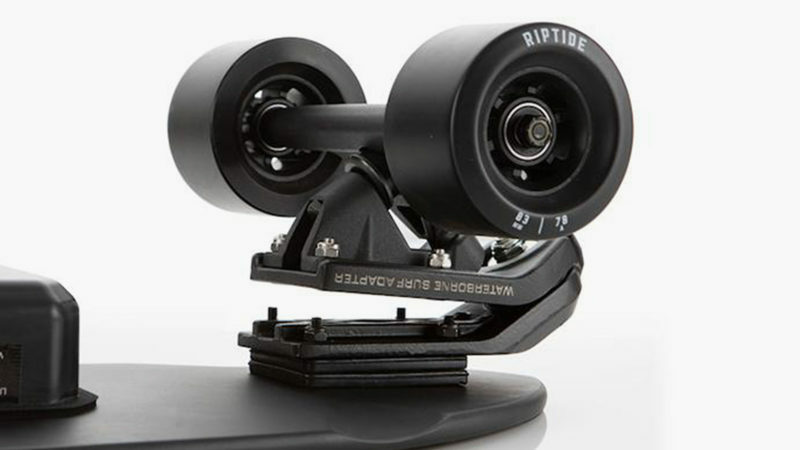 The integrated Surf Truck is capable of much tighter turns (up to three times as sharp), and an optional Rear Rail adapter keeps the back wheels aligned with the board’s nose at all times. 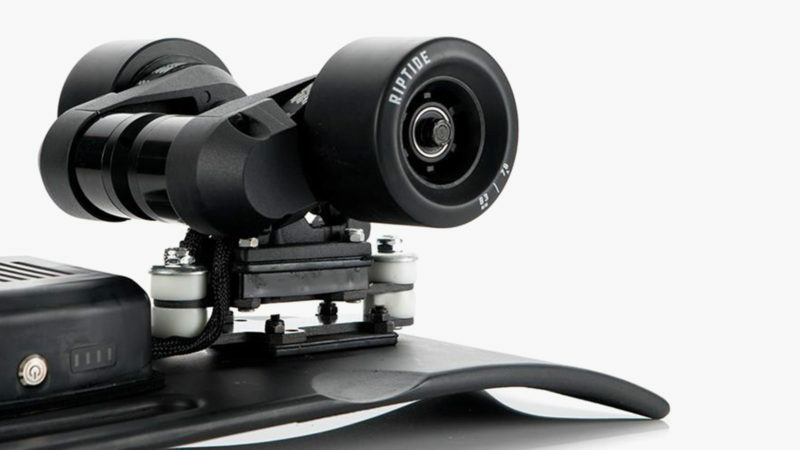 Pre-orders ship straight from LA.